Embedded in our urban contexts here and around the world, we are architecture and planning hands on, full scale, all in. As a community of thought leaders and aspiring architects and urban planners, we think and act on the edge of knowledge and practice, guided by a culture of experimentation, a core belief in learning by doing, and a spirit of public service and inclusion. We prove every day that design and planning are agents of change for community, place, culture, social justice and the natural world. The University at Buffalo's School of Architecture and Planning is the only school of architecture and planning within the 64-campus State University of New York (SUNY) system. We invite you to learn more about the life and programs of the school. 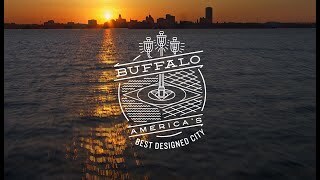 See how Buffalo is building an urban renaissance around its waterfront location, legacy of world-class urban design and architecture and vibrant, walkable neighborhoods.